Disposable razors are great. They are widely available and simple to use. But, they are also quite expensive, especially for some of the really fancy ones that have moisture strips and multiple blades! While shopping with my father a while ago, he was on the hunt for some disposable razors. He purchased a large bag of single blade disposable razors. I wondered why he needed so many, so I asked him how often he changes his razor. I was shocked when he told me that he threw his razors away after about 2 weeks of use. Myself, on the other hand, I use the same disposable razor for anywhere from 3 to 6 months. And I'm going to let you know all of my tips and tricks for keeping my razors working great for such a long period of time. 1. Always store your razor in a dry place. Keep your razor away from the moisture of your shower and sink. I keep mine in my bathroom cabinet, laying on a soft, dry towel. This is one of the most important steps. Moisture will dull your razor blades and it also promotes the growth of rust on the blades. Do not use razors with rusty blades. And don't forget, always dry your razor with a soft towel after every use! 2. Keep your razor clean. 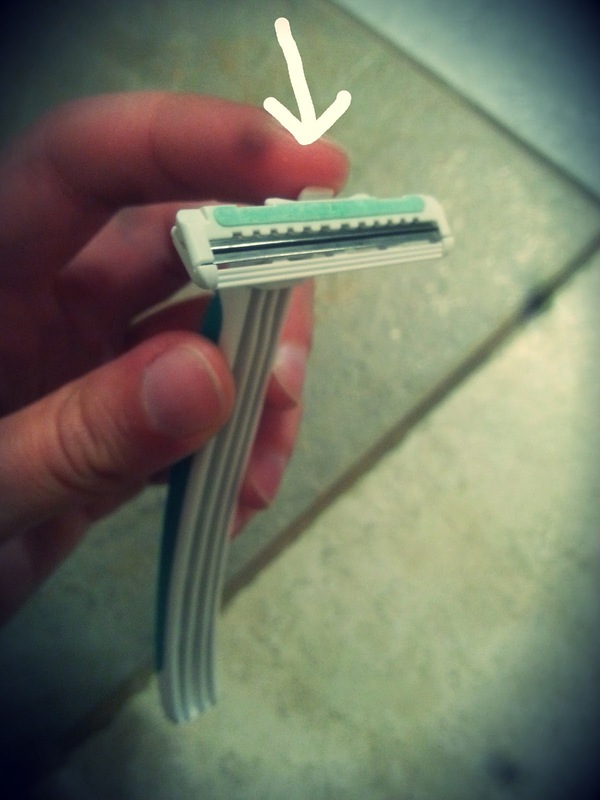 Have you ever noticed the little tab on the top of your razor head? It's a button, that when pressed, ejects hair that was caught between the blades. It is a good idea to routinely inspect your razor for hair and debris. Sometimes, the eject button isn't enough to remove all of the stubborn hairs and soap particles. If this is the case, try rinsing your razor under a stream of hot water. And for really stubborn debris, gently remove it with a soft toothbrush. 3. Keep your razor sharp. 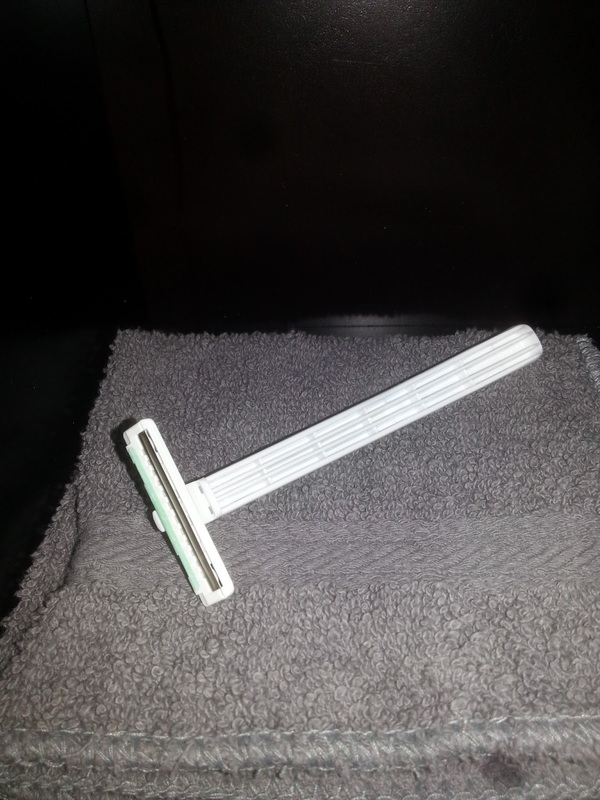 Did you know that you can sharpen a disposable razor? It's true. I have been doing so for years, and it really works. This is something that can be done weekly, or before every shave, and it only takes a few seconds. To sharpen your razor, I recommend a method known as stropping. To strop your razor, you will need an old leather belt. 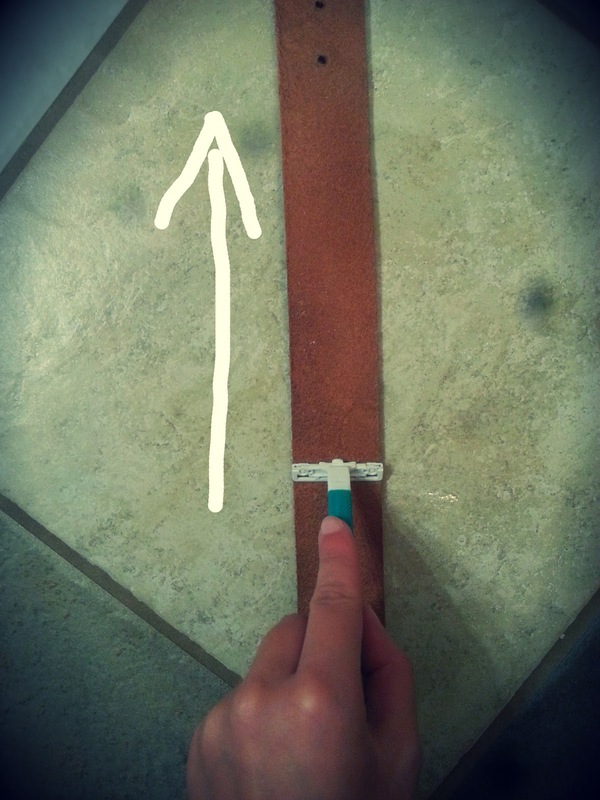 Place your belt on a flat, hard surface. With a dry razor, glide the blade along the inside of the belt in the opposite direction that you use when shaving. 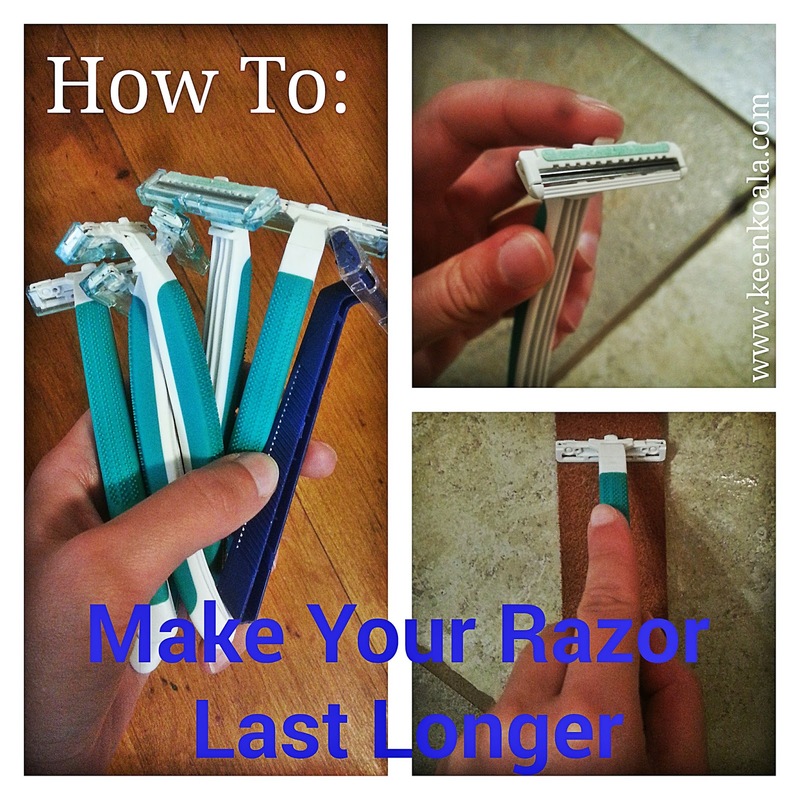 Hold the razor at the same angle that you would use when shaving. Use medium pressure. Once you reach the end of the belt, lift your razor away from the belt and start over. Strop your razor 10-20 times. And that's it. Just a few quick tips that will significantly increase the lifespan of your razor, help save you money, and reduce waste! I hope you enjoyed this post. Don't forget to follow Keen Koala on Facebook by clicking here !